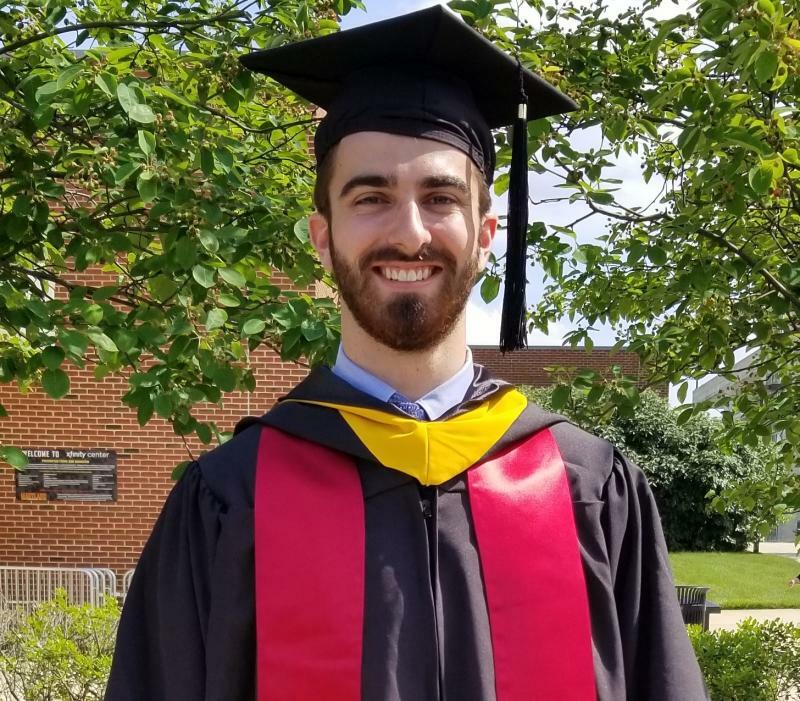 I chose to study at UMD because of its reputation in the field of engineering. When I came to admitted student day, I was given the option of taking a tour of the aerospace facilities or the fire protection facilities. I had never heard of fire protection before, so I opted to take the tour and afterwards found myself incredibly interested in the major! I would say the close-knit community that is the FPE department here at UMD. Whether you have questions on homework or general studies there is someone who can help you and more importantly willing and interested to help you. My current research is looking at the dispersion of methane within residential homes and seeing whether a scalar approach is viable. My favorite class was probably the capstone class I took my spring semester of senior year. The reason being is that we did a analysis of an actual building and we could actually influence future design choices and modifications to the building. I’ve found staying on top of your notes, whether they came from class or from a textbook. If you keep your notes organized and thorough, it helps immensely when it comes to completing homework, projects and preparing for exams. I like to try and play ice hockey when I can, otherwise I thoroughly enjoy designing furniture, shelves, and miscellaneous things in CAD. When I get the chance, I am sometimes able to build these creations of mine, a very fulfilling feeling when complete. I hope to pursue a career in research and development within the fire protection field. This is one of my main drives for pursuing a Master of Science degree.